Matt from the channel Fizzypops3434 is an impressionist and comedian known for his wrestling impressions, drive thru videos, and original character Stone Cold E.T. He is very talented and this channel has a lot of potential. In this video he goes to a drive thru as the wrestler Shawn Michaels and meets one of the best employees ever! Lizzo is an up and coming alternative hip hop artist out of Minnesota and this year she released a feel good anthem "Good As Hell". The song is up beat, very catchy and good enough to come in at the number 1 spot for the best songs of 2016! Also if you like this one, check out another one of her hits, Let Em Say. BLR completes another year with hit songs and parody videos with their voice over dub style. This year they reworked High School Musical which included the song Don't Stare At The Sun, a musical style with ensemble cast that come in at number 2 on the list this year. Also check out their song, Not The Future. Noelle from the band Damone has a new band now called Organ Beats and this year they released a powerful rock song called Only Human. Her vocals are great as always and the song is on par with the best rock songs this year! If you like this one, be sure to check out her other band Damone. Simon Rex aka Dirt Nasty and Mickey Avalon team up again this year on a new EP featuring the song Do It All Over. It is a silly song with a playful beat matched with a video that is just as silly. There are very few bands who have been around for 20+ years and are still consistently putting out good music. Green Day is one of those bands. This year they released a new album and are still rocking as hard as day one. Here is just one of the new hits of the new album. Second Chance may not be the most well known show of 2016 but it is one of the best shows that slipped under the radar and earns its spot as the best show of 2016! It is a futuristic sci-fi action drama which features a police sheriff who was killed but brought back to life in a younger version through technology developed by a gifted twin. The show was great and could easily have another season but it looks like they have decided to wrap it up with just 1 season. This is one of those guilty pleasure shows. As a spin off of The Bachelor and The Bachelorette, Bachelor In Paradise is pretty much an all star cast where they throw a bunch of the favorite contestants from past seasons onto a beach resort and watch the drama unfold. Plenty of great characters and drama made this season good enough to take the 2nd spot in the list this year. Survivalist Bear Grylls is back at it again taking a new celebrity each week on an adventure they will never forget. In this series, Bear and a celebrity hike, climb, and descend through dangerous terrain while trying to find things to eat in the wilderness and try to find a safe place to sleep at night. It is exciting to watch and the situation lets you see the celebrities in a different light than we are used to seeing them. I got hooked on this comedy by watching clips and full episodes online. It features 2 young ladies in New York and follows the situations and mishaps they manage to get themselves into. It is a dark comedy with inappropriate style humor but the 2 main characters are great and the episodes are laugh out loud funny. ANW was back for another new season this year. Not much surprises here but the show is entertaining as always as it features some of the best athletes competing on challenging obstacle courses as they try to make it to the end to be crowned American Ninja Warrior! Recently I had a pair of shoes in a box that I needed to ship. Usually I have extra boxes laying around that I have saved, but this time I did not have one that was the right size. Sure, you can use a larger box and put extra filler inside, but then the shipping costs will be more based on the larger dimensions. I starting checking a few places such as USPS and UPS to buy a new box. Surprisingly they did not have one in the dimensions I was looking for. Even similar boxes that were bigger, retail for around $3.50 just for 1 box! Yes, the post office has free Priority boxes, but in a case like this, my item would not fit in any of those boxes. Finally I got the idea to try to make my own box. I saw a few examples where people modified other boxes to the dimensions they needed so I thought I would give it a try. The only supplies you need are scissors, tape, and an old box. I started with a large plain box and peeled off all the labels. Try to peel them off carefully so it does not rip the box. Next, I took off the tape to help open it up. You can do this by peeling it or by cutting it if you don't mind leaving the tape on the box. Next I cut one side of the box all the way through at one of the corners so that it can unfold and be perfectly flat. Once you have done this, you have to do a little planning and thinking to decide the best way to make the new box. A ruler or measuring tape can also help if you want to be exact. I recommend try to keep as much of the box together as possible by making folds and overlapping sides. If the box it big enough, you will be able to keep it all in one piece to help maintain the strength of the box. You will need a scissors to make some cuts for the folds as well as to modify the dimensions to make the new size. Once you start getting the new shape and it is the right size, you can begin re-taping it together. I recommend using a generous amount of tape to make sure the box is strong and stays together during shipping. Once you are done taping, it is pretty much good to go! You will have a new free shipping box in the best dimensions for your item! The results of the 2016 election are in and based on electoral votes, Donald Trump has been declared the winner and next president of the United States. At this time, it looks like Hillary Clinton actually has more votes for the popular vote so we may end up with another situation where the candidate with more votes does not win. As someone who watched all the debates and followed the campaigns pretty closely, I was very surprised as the results started rolling in. It seemed Hillary was the clear favorite and was predicted to win no problem. With the media and big names in support of Hillary, it leaves us with questions like, “What happened?” and “Why”. In the months leading up to the election I was open minded to both parties and candidates. Eventually I started leaning more towards Hillary as I found she would be more qualified to be the President of the United States. I know there are a lot of people out there who strongly dislike Trump. While I think he is a good business man, his unrefined temperament and lack of political experience would be too risky to elect him to the most important position in office. One thing that puzzled me in this election was why there were not more women voters in support of Hillary. In the history of the United States, over 200 years, we have never had a women president. This is significant considering over half the population is female. This was a chance to finally elect a woman president to represent the country. This alone would have been a huge step forward in terms of equality and gender relations. It would have had an enormous influence young women showing that they can achieve the highest office. It is hard to believe that her opposition still got more support especially after all the negative things he has said about women. Another thing that I find curious is how it seems that big city states such as New York, California, and Illinois voted for Hillary while more rural areas voted for Trump. Based on history, this is not a surprise, but considering Donald Trump was born and raised in New York City, about as far away from rural as you can get, I don't see how these areas think he would be a better representation for them. So what are some of the reasons people may have voted for Trump instead of Hillary? One thing people may like about Donald is that he is not afraid to say what is on his mind even if it is not politically correct. While this trait may be admired due to straight forward honesty, there has to be more discretion involved when you are representing an entire country. The lack of filter has gotten him into a lot of trouble in the past and I worry, this trend may continue as he becomes president. Another thing that may have happened is people may have figured Hillary was sure to win based on all the support she was getting before election day. Many Hillary supporters may have figured they did not need to vote because she would have enough votes anyway, while the Trump supporters knew he needed the votes and were more eager to get to the polls. I also wonder about the division of the Democratic party. Emotions ran high when it came down to Hillary vs Bernie. I wonder if many of those who were in support of Bernie still held a grudge and refused to support Hillary even after she won the nomination and had the support from Bernie. One more possibility for what happened may be a disconnect of small town America from Hollywood and big city media. Celebrities were really pushing for Clinton to win and I think many Americans from rural areas do not relate to that and don't really like being told who to vote for. Popular tv shows such as Saturday Night Live made fun of Donald Trump every week and pretty much declared Hillary the winner weeks in advance. I think many Americans did not appreciate that and were then motivated to vote for the opposition. Back to the original theme of this post. While watching the numbers roll in last night, the one word that kept coming to mind was “worried”. I'm worried about what these results mean about half the people who live in this country. I'm worried about what the world and other countries will think about us now that this has happened. I'm also worried about the future of our country based on changes that may happen which may have a negative effect on the American people. Change does not happen easily especially in a climate like this which is still split 50/50 so it will be interesting to see what happens over the next few months and years. We all want the best for this country so hopefully we can move forward together somehow despite differences. I use olive oil quite often as a condiment to add taste and healthy fats to meals. I will often add it to pasta or rice dishes, or bread or sandwiches. When I go to the store, I usually look for extra virgin olive oil and try to find some that is on sale for a decent price. This last shopping trip, I noticed the Pompeian Extra Light Olive Oil was on sale for a good deal. I compared the nutrition facts to the Robust Extra Virgin Olive Oil and they were identical so I figured I would give it a try. Upon trying it out, the color of the Extra Light Olive Oil is much lighter compared to the Extra Virgin Olive oil. For the taste, it is very mild and has almost has no taste at all. I suppose this can be good for cooking if you do not want it to overpower the taste of the other ingredients, but for me, if I am adding it to a dish, I would like it to enhance the flavor. The Extra Virgin Olive Oil has a much stronger taste to it so I would probably go back to this style next time. I will finish the Extra Light style since it has the same nutrition facts, but overall I like the Extra Virgin Olive Oil better for the taste. Every once in a while you may find you have nothing to do or just do not feel very motivated to do anything. In case you find yourself in this situation, one thing you can do is clean! This may not seem very fun but if you are bored and have nothing else to do, there is really no excuse not to do it. Cleaning your room, your house, or your environment is a productive activity and you will feel good once you have accomplished this task. Many people do not want to clean because they feel like they have better things to do, so when you are bored, it is the perfect time to clean. Even if you feel like your house is already clean, there is always more to do. For example cleaning or dusting areas that are hard to get to such as under a refrigerator or on top of base boards. Maybe cleaning out a closet or going through some old papers you probably do not need anymore. There is always work to be done if you think about it and look for it. Another thing you can do if you are bored is exercise! This is another productive activity that will make you feel good after you have completed it. Working out is another thing that is easy to put off due to lack of time or effort, but if you are bored, it is a great time to work out. It doesn't have to be anything big like going to a gym. It can be simple exercises around the house such as push ups, squats, sit ups etc. One more idea for something to do when you are bored is back up your computer! This is something important that people either never do, or do not do enough until it is too late. One of my sayings is "No one thinks their computer is going to crash today, but someone's is." Make sure to back up your important files from your computer either on an external hard drive, or a cloud service so you will always have it in case anything happens. Next time you are bored or feel like there is nothing to do, keep these activities in mind for something productive that can be done any time! I like to go on walks and recently I started getting mosquito bites when I would get into the more wooded areas so I decided to look into getting a bug spray. After doing some research, I decided to try Repel Lemon Eucalyptus Insect Repellent. It is a 4 oz pump spray bottle and uses oil of lemon eucalyptus as the active ingredient. Upon trying it out for the first time, I found it easy to apply with a few pumps of the spray bottle. It does have a very strong lemon scent which is not bad at all. I sprayed some on the back of my hands and then used it to apply to exposed skin such as around the neck. It says it is ok to apply to clothes as well so it should not damage the material. It claims to protect against mosquitoes for up to 6 hours. I have tried it out several times on my walks and so far it seems to be working very well. I have yet to get any mosquito bites after having applied the Repel Lemon Eucalyptus so I would have to say I am happy with the results so far. 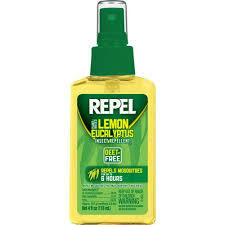 If you are looking for an insect repellent that is a pump spray and has a nice scent, I recommend trying out Repel Lemon Eucalyptus bug spray. One of my pet peeves is when people express a strong opinion on something they are uninformed about. This can be anything from politics or a protest to celebrity and pop culture. With social media being so prevalent these days, people are quick to voice their opinion on anything they hear or read about. These comments can influence people and have consequences all around which is why it is important to know the facts and be well informed before making statements on controversial issues. A recent example of this happened around one of my favorite comedians, Melissa Villasenor, who I have been following since her debut on America's Got Talent in 2011. For the past 5 years I have enjoyed her videos, stand up, podcasts, and social media so I was very excited and proud to hear she was named to the new cast of Saturday Night Live! You would think it would be all good news, but almost immediately there was a backlash of people trying to bring her down. Individuals started digging into her history on social media looking for anything that could be portrayed as being remotely offensive. They then started promoting these comments trying to make the case that Melissa should be shamed and should not be given the opportunity to be on the show. As someone who has followed Melissa closely for 5 years, she is one of the sweetest people in the business and is certainly not how these individuals are trying to make her out to be. She may have made a few comments in the past that were not the nicest, but if you dig into anyone's past, we have all said things at one time or another that we probably shouldn't have. This does not call for a reason to try to sabotage someone's career. So why would these individuals do this? The main reason would be jealousy. Someone in a similar line of work may be jealous that she has been given this opportunity and they feel like they deserve it more or that she does not deserve it so they may look for reasons to try to discredit her character. Whatever the reason, these false allegations got enough traction to get into news articles and social media. Then because she is now in the spotlight of being a new cast member on SNL, more people are discovering her for the first time. These people are not familiar with her work and maybe only saw a headline or watched a quick Youtube clip and are now making judgments. I have seen people making comments like “she should not be given the opportunity to spread her message of hate” and “this is all it takes to be on SNL?”. These are the kind of comments that bug me because they are strong statements made by people who are incredibly uninformed about this issue. Melissa has no message of hate and she has worked incredibly hard to get to where she is at. She has earned her place on the show and I just hope all the negative comments don't get her down or have a negative effect on her career. 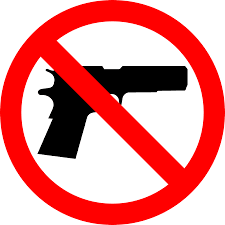 Overall this post focused on one example, but the overall message is to be careful what you say and make sure you are well informed and know all the facts before taking a strong stance on something or commenting on a controversial issue. Everyone has the ability to have a positive effect on the world around us. It can be a physical change such as cleaning up the environment or a mental change such as educating or spreading joy to others. Sometimes it can take some persistence and hard work but the end result will be worth it. Years ago, I noticed a sign in my neighborhood was in need of repair. It was for a local bank and it was one of those signs where you can arrange the letters to spell out a message. The sign was missing letters, had letters moved around by the wind, and really needed some attention to get back to a presentable condition. I started out by emailing the bank about this to let them know about it in case they were unaware of the issue. Time went by and nothing happened. I sent another email asking it it could be fixed because it was giving a bad impression in its current state. Still nothing happened. 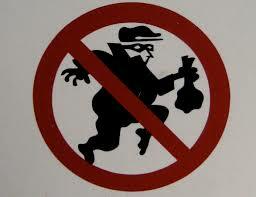 I called up the bank and spoke with someone about it to see if the sign could be updated. They said they would pass along the request. Time went by and nothing happened. Then just recently I decided to go into the bank and ask to speak to someone in charge of maintenance. I was introduced to someone who seemed like one of the higher ups at the bank. I explained the issue to him and he was understanding and said he would take care of it. A few days went by and nothing happened. At this point I was getting pretty discouraged, but then after about I week, I was driving by and what do you know, the sign was fixed! All the letters were arranged properly and it looked good as new! The persistence paid off and now the area looks much better with a sign that is in good condition. This is just one example of putting in the effort to make a positive change. If you see something that needs to be done, take the initiative to make it happen. If the change is something you can do personally, do it. If the change requires more help, get in contact with people who are able to assist. One person alone can make tiny changes, but everyone together can make a huge change! 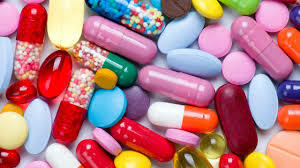 It is known that many medications have side effects or results other than the intended effect. While usually specific side effects can be linked to the medicine there is a good chance a side effect experienced may not be related to the medicine at all. This can be referred to as the Placebo Effect which basically means the medication did not cause a change, but in your mind, you think that it did so it seems like it did cause a change. This is something that can easily happen when taking a new medicine or supplement. Recently I was doing some research and thought about trying out a supplement. I didn't get around to trying it yet, but throughout the day and following day I experienced what would be considered side effects such as headache and irritability. I thought to myself, if I had taken the supplement, I would have definitely blamed these effects on the supplement. So in this case, these unrelated effects would have been blamed on the supplement incorrectly. This is something to keep in mind because it can happen when taking anything new from a medicine or supplement to even trying a new food. Recently Windows 10 did a big update on my computer which did not go very smoothly. I have the automatic updates on so it downloads by itself and then prompts to install the next time you are shutting down. Usually the updates are pretty quick, but this one took almost an hour. At one point is went to a black screen and nothing was happening. It stayed like this for about 10 minutes. I thought it was frozen and I was going to have to do a force shut down, but finally it managed to come back again and finish the installation. They need to make sure there is progress showing on the screen or people may think something is broken and then shut it down in the middle of the update. After it was completed, I noticed a lot of unwelcome changes were made. Lock screen and layout of some of the basic elements such as the Windows menu and task bar have been changed. Also for some reason, they seem to have reset a lot of changes that were put into place such as re-adding icons to the tray that were removed. Even things such as default program settings were changed, for example it changed the music player use when opening an audio file. It also made some of my keyboard shortcuts not work anymore so I had to go back and manually fix them after the update. Overall performance seems to be slower than before. I will give it some time because I know sometimes these things take a little time to break in after a new install, but so far I have not been too pleased with this recent update. If Windows wants to update security features and bugs, that is fine, but they should not make big changes to people's computers like this especially without telling them ahead of time or explaining which changes have been made. I recently discovered an issue on Twitter in regards to the unauthorized selling of pirated software. I discovered this while doing promotions for one of the software companies I support. While doing these promotions, I found a user on Twitter who was marketing cracked copies of some of the most popular programs to others at a fraction of the price via direct messages on Twitter. This bothered me for 2 reasons. One, it was interfering with people like myself who are helping to promote legitimate sales of authentic software via the official companies, and two, it was just very morally wrong. It is one thing to illegally download a software program for your own use, which is wrong to begin with, but then to turn around and try to profit off that by selling it to others is just taking it to another level of wrong. I decided to try to do something about it. I contacted some of the companies whose software was being illegally sold on Twitter to let them know what was going on. Most of them have an online form or email to report these things. I got a few replies back thanking me for letting them know about it. A few weeks went by and I noticed this user was still actively trying to sell pirated software on Twitter. I decided to contact Twitter about it directly. It was not very easy and they requested personal information which I was not really comfortable giving out, but I placed the report anyway. A few days later they replied and basically said they reviewed it and it does not violate their policies. So basically what they are saying is they are ok with people using their platform to illegally sell unauthorized copies of software to others. I was surprised that even after contacting the makers of these programs, nothing seems to be getting done to prevent this from continuing. It makes me think maybe software piracy is a much bigger issue elsewhere and these companies think it is not worth their time to try to stop one individual from stealing from them. Overall I am disappointed in Twitter for not taking any action in this case and surprised that none of the companies have yet to make an effort to stop this from happening. As a kid in the 90's, one of my favorite activities was collecting Marvel trading cards. X-Men and Spider-Man were some of the most poplar and this was before they started making blockbuster movies for comic characters. Every week or so, my friends and I would ask our parents to drive us to the comic book store to buy packs of cards. We would then trade cards with each other to try to collect all the cards and complete the sets. I was also interested in art at the time so it was fun to see all the artwork for each character. Collecting full sets was not an easy task, especially at that age and at that time. There was no internet so you could not just buy whatever you needed online like it is today. You had to work hard and trade with your friends in order to get the complete sets. I saved most of the cards hoping some day they might be worth something. Unfortunately, many cards were produced at that time so they are not very rare. Most sets can be found on eBay now for around $25-$30 which might even be less than they cost when they were first released. Based on this, I will probably hold on to them for now as the sentimental value is worth more. After doing a little research on the current market for Marvel cards, I found that they are still releasing new sets and in fact there is a new Marvel Masterpieces set for 2016. This caught my interest especially since the artwork is done by Joe Jusko who did the art for the original Marvel Masterpieces in 1992. Apparently the new set is more limited and more expensive at $150-$200 for a box. Given the cost, I do not plan on collecting but it is nice to see they are still releasing new sets. Did you collect Marvel cards in the 90's? Which sets were your favorite? Why do so many people have the same names? Names are pretty important considering it is something that identifies us as an individual for our entire lives. Most people are given a name by their parents and will go by this name or a nickname unless they decide to have it legally changed later on in life. With all the possibilities of unique names out there, many people still end up with common names and often the exact same name as other people. So how does this happen? There are many lists out there with the most popular baby names for each year. It is possible people search for the popular names and then pick a name out of the most popular names. Also it may be out of tradition such as naming a child after a relative, historical figure, or celebrity. 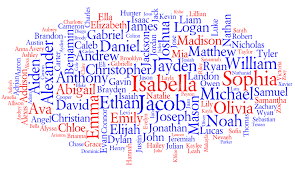 Personally, I think people should try to give their children more unique name instead of the most common names that have already been done. It can be odd to come across someone with the same name as you. It is a coincidence, but strange because we associate our name with who we are and so it is odd when you find someone else who is going by the same name. A unique name helps you stand out from the crowd. In a list of names, the common names get overlooked but when there is an interesting name you have never seen before, it stands out and gets more attention. This can have an effect on many things from job applications to general introductions and meeting people. With the internet these days and the ability to search by name, a common name is almost impossible to narrow down in a search unless it is someone famous. A unique name can be found much more easily with a search. This could be a positive or a negative depending on how you look at it, but I think having the unique name has the advantage. In my case, I have a first and last name that falls somewhere in the middle, not too common, but common enough that there are others with the same name. Given the choice of one way or the other, I would prefer a more unique name that no one else has. Do you have a common name or a unique name? 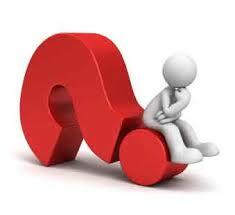 What are your thoughts when it comes to picking out a name for a child? I have been following the US Women's National Soccer team since the World Cup last year and since then, they quickly became my favorite sports team. They are a great team with lots of wonderful personalities and are just a lot of fun to watch. While the roster has changed a bit from last year's World Cup team, they still have a lot of the same players and staff. The team was favored to win gold again this year but they struggled throughout the tournament. It seems the chemistry was not quite there this time as they had trouble converting on opportunities. They ended up making it to the quarter finals of the 2016 Rio Olympics but lost a close game against Sweden in a penalty kick shootout. Throughout the game, the US seemed to be dominating at least on possession, but Sweden proved to be more efficient with the few opportunities they had. I don't blame anyone for the loss as it was a fair game and Sweden earned the victory. It is very disappointing for the US team, but it is a lesson that they are not unbeatable. I am still very proud of the US Women's National Team and will continue to follow their progress as they train for the next big tournament! 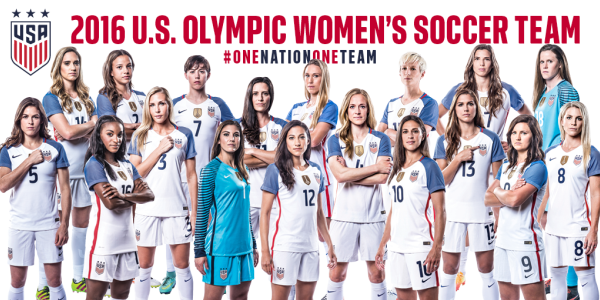 For more on the USWNT check out their Youtube and Twitter accounts here. A while back, my kitchen sink drain started getting clogged so when I would run the dishwasher, the water would back up into the sink. It was going to take a while before it could be fixed, so I had to figure out another solution. I didn't want to wash all the dishes by hand in the bathroom sink, so I figured out a way to still be able to use the dishwasher. 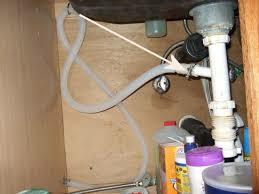 Under the sink, there is a hose that runs from the dishwasher to the drainage pipes or disposal. This is where the water is drained from the dishwasher. I found if you unhook this hose from the disposal and put it into a bucket or a wastebasket, you can run the dishwasher and the water will drain into the bucket. Then you just have to empty the bucket in a another drain that is not clogged such as a bathroom tub. It is not the most convenient because it usually uses at least 5 gallons of water per wash so you have to keep an eye on the bucket throughout the cycle to make sure it does not overflow. I found that having 2 small buckets works best. It usually does not drain more than 1-2 gallons at a time so as long as you stay on top of it, it should be able to handle the water. Check the instructions for your dishwasher to see how many gallons it uses per wash. It can depend on which cycle you choose. Also remember not to use the sink when you have unhooked the hose underneath as water may get out from the hole where the hose has been disconnected. Overall I find it works well and allows you to run the dishwasher even if your kitchen drain is clogged. I do not like junk mail so I try to unsubscribe from as much as possible to limit the amount that shows up each day. Lately I have been getting a lot of advertisements from AT&T. I guess it is expected since I have AT&T internet so they want me to sign up for more services. I am never interested so I looked into how to get off the AT&T mailing list. After a lot of searching I found this which states you must call their number to request to be added to the Do Not Mail list. This is already very inconvenient as they should have an online form to submit your information to be removed from the list. Nevertheless, I call the number to try to get off the list. It is the standard voice recognition system that does not work very well. I get connected with a representative and explain that I would like to unsubscribe from the mailings. 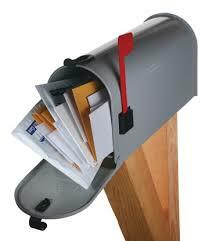 He seemed to be very clueless and at one point I pretty much had to explain to him the concept of what mail is. While he was trying to figure out how to do this, I was continually pitched upsells which is a pet peeve of mine at this point. I am calling to get off the mailing list, not to sign up for a new tv service. Companies need to stop this practice. No one is going to sign up for a new service spontaneously like that. After about 10 minutes I could tell it was not going anywhere and after being on hold of an extended period of time, I just had to hang up. It should not be that difficult to get off a simple mailing list. Pokeman Go is the latest mobile game sweeping the world. It has only been available for a short time but already it is the most downloaded and used app right now and it seems to be just about everywhere. I overheard someone talking about it last week and while I am not much of a gamer or an apps person, it sounded pretty interesting so I figured I would try it out. 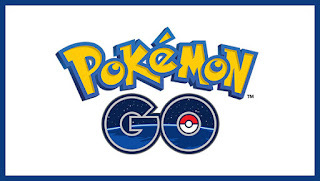 The game is a free app developed by Niantic in partnership with Nintendo and is available for iPhone and Android phones. It uses real world map and GPS so the setting takes place wherever you are. The goal of the game is to capture Pokeman creatures by throwing a ball at them. The concept is similar to Geocaching in that you go around in the real world to find different items. There are many different Pokemon to collect and they are found in different locations. While you are looking for Pokemon, there are also special stations that are located at public gathering spots and interesting landmarks where you can interact with them and get useful items. The game goes into more detail and there is quite a bit to learn that I have not gotten into yet but so far it has been pretty easy to get started. After trying it out for about a week, I have been pretty impressed with the game. I like how it is integrated into the real world with the landmarks on the map. It will help you find interesting things in your neighborhood you may not have even known were there. I was wondering how they developed this game with such detail on a local level. Apparently the company is in association with Google which helps with the mapping part. Also they have a previous game called Ingress which had a similar use of real world GPS so this infrastructure was integrated into the Pokeman game. The game has had a positive effect on the community as it is a topic that is bringing people together. People are now more inspired to get out and explore while using the game and since there are so many other people participating, it is easy to find others who are playing and talk with them about it. Right now the game has a huge following and it looks like it will only get bigger as it expands to more countries. It will be interesting to see if the interest continues over time or if people will start to get bored of it after a while. I think if they continue to update it, it will maintain popularity for some time. So far, game play has been smooth and I have only had the app freeze up once. It is pretty easy to navigate and understand, but documentation could be better. To really have a detailed understanding of the game, you really have to seek out instructions and tips on other websites and forums. For improvement, I would like to see the option to be able to customize your character at any time. It has some customizing options when you first start, but once you get in, there is no way to change it. I would also like to see more options to interact with other players. Overall I definitely recommend checking out Pokemon Go if anything just to see what everyone is talking about. It is pretty fun and easy to play and has lots of potential if you really want to get involved with it. 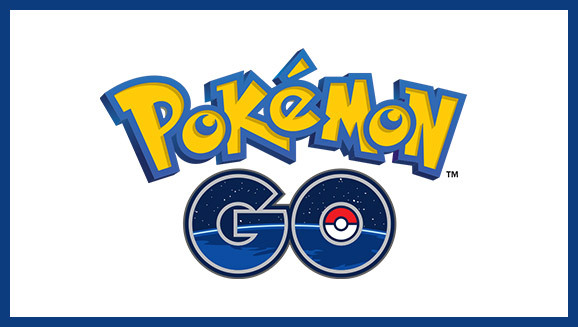 Pokemon Go is available now for download on iPhone and Android phones. I noticed the game has been freezing up more lately which is understandable considering how many people are trying to play it at the same time. Also I noticed it uses up phone battery very quickly. I don't like my battery to run down fast so I may not be using it as much if it keeps using up the battery so quickly. I noticed when walking around while the game is on, even when it is on battery save mode, the phone tends to get hot. I have read reports of others having this same issue. This may be a problem for certain features of the game that require you to walk around a lot. Guy enrages parents of girlfriend by pretending not to know what a potato is - In this story a guy explains what happened the first time he met his girlfriend's parents. He has the bright idea to try and be funny by pretending not to know what a potato is, but things do not turn out how he expected. The word structure and vocabulary used in this story make it particularly funny. Guy farts on a misbehaving kid at a store - In response to a question: "What is your silent, unseen act of personal defiance?" redditor RubyRhod goes into detail about a time he farted on a a kid at Target who was misbehaving and being rude to his mother. The writing and details are great on this one as he paints the picture of what happened. Guy tries to get out of eating a bad steak by throwing it out the window - A guy attends a dinner hosted by his wife's boss. Turns out he does not like the steak and tries a creative way to get out of having to eat it. Things do not go quite as planned. 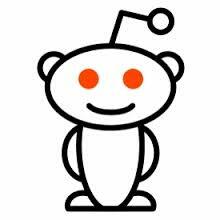 What are your favorite stories or posts on Reddit? Feel free to share them comments below. I recently purchased a new computer from Best Buy after visiting several different stores as well as doing much research online. I usually post reviews like this on Yelp, but since this experience covered several different stores and several elements of the shopping experience, I figured I would post about it here. I started going into the first store without knowing too much about the tech specs and details of the most recent computers. I consider myself pretty tech savvy but it had been a while since I studied up on the latest processors and such so I was in need of some help. At the first store I was greeted by one of the sales staff in the computer department. I gave him an idea of what I was looking for and he was very helpful in recommending a few different models and explaining all about each one. He did a great job and did not try to pressure me into buying anything before I was ready. I did some more research and a few days later I decided to check out another Best Buy to see if they had a different selection in stock. This one was a little different but had pretty much the same selection. Interestingly at this one I was not approached to see if I needed help. I walked around the computer department and tested out a few different models but during the time, no one came up to see if I needed help. I didn't mind, but it would have been nice in case I did have a question. I went back home and continued to do more research. Finally I decided on a computer and found it in stock at a 3rd location. I went there and was helped by one of the sales staff. I told him which computer I was looking for and he was able to help me get it quickly. I was also able to get a price match for a lower price found online at one of the competitors. Overall the buying process was pretty easy and I was able to check out without any issues. After trying out the computer and monitor for about a week, I decided the monitor was too big and I would need to make a return to get a smaller monitor. I wanted to order the 2nd monitor first to compare them and make sure the smaller monitor would work better. For this one, I purchased online and did a store pick up. This process was surprisingly easy and the monitor was ready to pick up earlier than expected. After trying the new monitor, it worked great so I decided to return the original monitor. I repacked it carefully in the original box and took it back for the return. Again the process was fast and painless. The customer service was very friendly and there were no issues. About a week into using the new computer, I noticed the price of the monitor dropped $20 on the website. Since they had a price match guarantee during this time, I gave them a call to see if they would give a credit for the difference. They were very friendly again and were able to give the refund of $20 back to my account! Overall I was very impressed with the entire process from in store research to online purchasing, to returns and even a price match. I even got some rewards credits for making the purchase so I will be able to go back again soon to use the credits on something else! 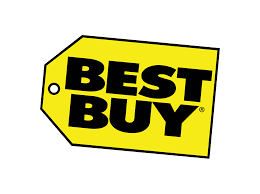 If you are in the market for a new computer or any kind of electronics, I highly recommend checking out Best Buy based on this experience. While shopping recently I saw a special stand that had a new flavor of Cheerios. It was a strawberry flavor which looked interesting but I decided to hold off on buying it. It was still on my mind later that week when I was at a couple other stores but they did not have this flavor in stock. Luckily the next week I returned to the original store and they still had them available so I picked up a box. Turns out they are a limited edition flavor that is only expected to be available during Spring and Summer. So I got them home and tried them out. Overall they have a familiar and sweet flavor. I found them to be pretty good especially if you like the original Cheerios but are looking for something with a more sweet flavor. Nutrition wise, they do have corn syrup added which may be giving most of this sweetness but it also has strawberry puree for flavor. I wouldn't rush back to buy them again, but if they were on sale for a good deal, I would probably get another box if I was looking for a sweet cereal to add to the lineup. Definitely worth a try if you are a fan of Cheerios! For years, when I would go to the grocery store, I would always get the usual plastic bags at checkout. I knew the reusable bags were better for the environment, but I tend to find good use for the plastic bags so I like to get them. Also I recycle the plastic bags at the store when I collect too many. Recently I started to take an interest in reusable bags. I saw they had some available at the store so I decided to try them out. 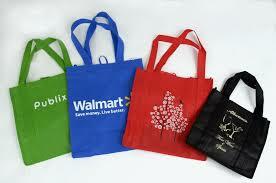 They cost about $1 each but they are durable and it makes it easier to carry groceries. They can hold a lot more compared to the usual plastic bags. Also a big plus, I found that stores automatically give you a discount when you bring the reusable bags. I didn't even know this until I checked the receipt after shopping at a few stores and saw the discount of $.10 for using reusable bags. It is not much, but for someone who goes shopping several times a week, this can add up over time! It is a little bit of an adjustment to remember to bring the reusable bags with you to the store, but I figure this is something that will develop a habit pretty quick. I have only been using these new bags for a short time but already I like them better than plastic. Even walking out of a store, it makes you feel kind of special when you have your own bags instead of the regular plastic bags. If I am ever running low on plastic bags, I might check out with the plastic bag option once in a while, but for now, I will be using the reusable bags! I recommend trying it out especially considering they give you a discount! Recently I was looking for a new computer monitor to go with my Lenovo H50 desktop. Originally I wanted a monitor that would be big enough for dual screen without having to use a 2nd monitor. After comparing many different monitors in store, I first decided on a 27inch AOC. The AOC was huge, but the problem was the resolution was still 1920 X 1080. This is full HD resolution but spread out over 27 inches it really just makes everything bigger and does not actually give you more room. I found it was too large for single screen and too small for dual screen so I ended up returning the AOC. While searching for a replacement, I decided I would go with the same resolution but with a smaller monitor. The ViewSonic VX2270SMH caught my eye. It is a 22inch (21.5 viewable) IPS monitor with built in speakers. I really liked the design of this monitor and the fact that it was HDMI compatible and even came with the HDMI cable included. It can also be hooked up by the included VGA cable or by DVI connection. I was not able to find any local stores that had it in stock so I took a chance and ordered it online without having seen it in person. As soon as it arrived, I was excited! Upon opening it, I could already tell I loved it even before turning it on. Attaching the base was very easy and does not require any tools. It has a sturdy base and a tilt feature that makes it easy to adjust the angle. I hooked it up to my computer with the HDMI cable and turned it on. As soon as the background image came up, all I could say was “Wow!” It looked so clear and realistic. Compared to the 27in AOC, the ViewSonic picture seemed a lot more crisp and had a better color balance. Video playback was smooth and clear as well. I tried out the built in image adjustments and made a few tweaks to the brightness but overall the picture looked great right from the start. The adjustment buttons are on the base of the monitor and are touch sensitive. They can be kind of hard to reach because they are down low so you kind of have to duck down to see them. The sound did not work right away, but I installed the drivers that came with and selected the right audio output and then they were good to go. The sound is pretty good for monitor speakers. It has SRS software which helps optimize the sound for best performance. It also has audio in out ports to plug in headphones or speakers. I tested it with headphones and found there to be a little white noise present, so I ended up plugging the headphone directly to the computer for best sound quality. So far I have been using the monitor for a couple weeks now and have been very pleased with it. It is stable, has a great picture, and has an attractive design. I would definitely recommend it if you are looking for a full HD IPS monitor that does not take up too much room and has built in speakers and is HDMI compatible. I recently purchased a new desktop to replace an older laptop that was beginning to have some issues. I was looking for a good mid-range desktop for work and everyday tasks like web browsing and word processing. In the past I have had Dell and HP computers but this time I decided to try a new brand. After doing a lot of research, I ended up going with the Lenovo H50. It is available at stores like Amazon, Best Buy, and Newegg. The H50 has an AMD A10 processor, 12GB of RAM, and a 2TB hard drive. It comes with a keyboard and mouse, but monitor must be purchased separately. Unpacking and setting up the computer was pretty straight forward. It does come with extra pre-installed apps and programs that you may not need. I spent some time going through the programs to get rid of unnecessary things and also went through the settings to help speed up the performance. After getting used to it and working with it for a few weeks, overall it has been pretty good. It is not the fastest computer out there but it gets the job done and so far I have not run into any significant issues. 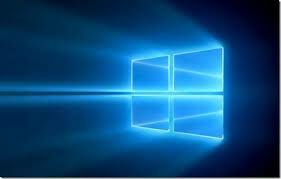 It comes with Windows 10 which did take a little time to learn coming from Windows 7 but overall it is not too much of a change. I actually find Windows 10 to work surprisingly well. For example when you plug things in, they just work right away without having to install drivers or anything like that. It does seem to be pushing the whole “apps” thing which I am not a fan of, but I can see they are trying to gear it towards the tablets and phones with the touch screen. I use it with a regular screen and it still works well. The keyboard and mouse that come with it are just average. I do a lot of typing and found the keyboard was difficult to type on, so I ended up replacing it with the Apple keyboard. I may upgrade the mouse also but for now it is working ok. I paired the H50 with a Viewsonic VX2270SMH LED IPS Monitor which I really like. It has great picture quality, style, and has built in speakers. It is still early to weigh in on the long term performance, but so far I have been happy with the computer. If you are looking for a solid desktop computer that is good for work and everyday tasks, I recommend the Lenovo H50. It's hard to believe it has been over a year an a half since I bout the computer. It still seems like it is pretty new. For long term performance it has been ok. The only thing is I have had issues with the computer waking up by itself from hibernate which has been very annoying and difficult to fix. I believe this may be a Windows 10 issue and not necessarily a Lenovo issue. So far the hardware has been pretty good with no major issues yet.